Operation Smile is a private, not for profit organisation providing reconstructive facial surgery to children and young adults born in developing countries. On 1st December Close to My Heart Consultants released our Seasonal Expressions Idea Book. On the back page of this Idea book you will find the C- sized, You’re the Bomb stamp set (C1617). By purchasing this set at full retail price of $21 you can help change the life of a child as CTMH will donate $US3 from your purchase to Operation Smile. Make your purchase before March 31st to ensure your donation. Today we will be sharing some inspiration using You’re the Bomb. We hope you will be compelled to purchase this set and in so doing, contribute to the life changing work of operation smile. If you’ve arrived from Denise’s Blog you are in the right spot. 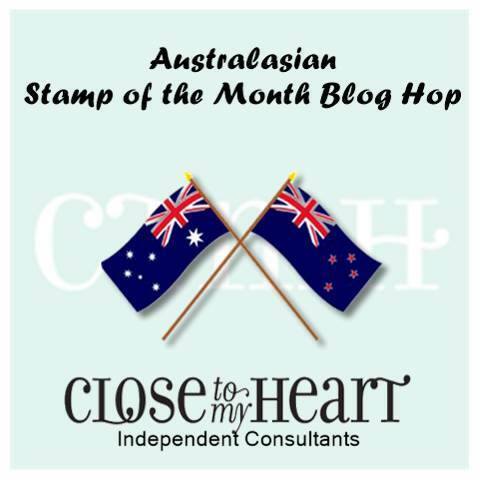 Hop through to each consultant’s blog for some awesome ideas for using this stamp set. 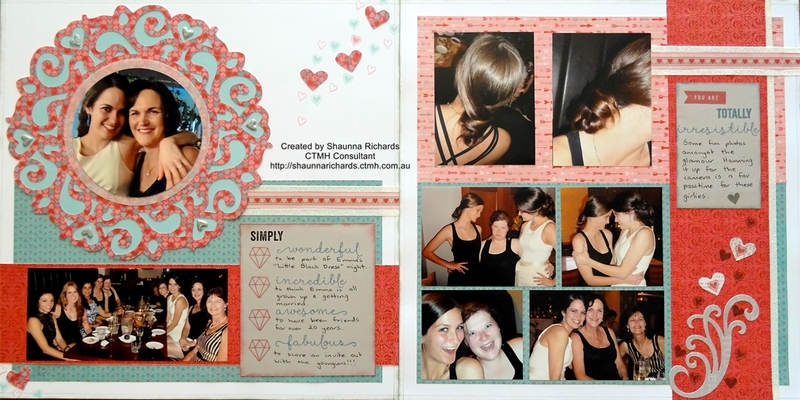 I’ve used the stamp set within my journalling boxes on this layout of one of the smilingest evenings I had in 2013. If you would like further information and photos on my project and Operation Smile please continue reading, Otherwise, pop over and see what Jenny from The Creative Heart has created by clicking here. The blog hop is a loop with about 8 participants so follow along and you will end up right back here. If you get lost there is a list of participants on Mandy’s Blog here. I love the positive words and the font used for them. This was a very happy evening with my ‘neice’ – you know the ones you aren’t related too but they feel as close as family. I chose these photos for the today’s blog hop because these girlies have gorgeous smiles and we take that a bit for granted. I’ve used the Heartstrings Workshop on the Go Stamps (G1090), Heartstrings Papers (X7193B) and Heartstrings Complements (X7193C) on my layout. It’s such a great pack for wedding related pages. The beautiful doily frame was cut using the Artiste Cricut Cartridge (Z1790). I also added a bit of our new white shimmer trim either side of the zip strip accents. This layout was inspired by the Crystal Ball Layout in the Magic How To Book (9040). All it takes to correct one cleft lip or cleft palette in a third worl country is $275 AU donated to Operation Smile. I hope you will support this valuable program by purchasing the You’re the Bomb (C1617)stamp set. Visit your consultant’s website to place your order. To read more about Operation Smile Australia click here. If you haven’t done so yet, hop over and see what Jenny from The Creative Heart has created by clicking here. I’d love you to leave a comment before you go! 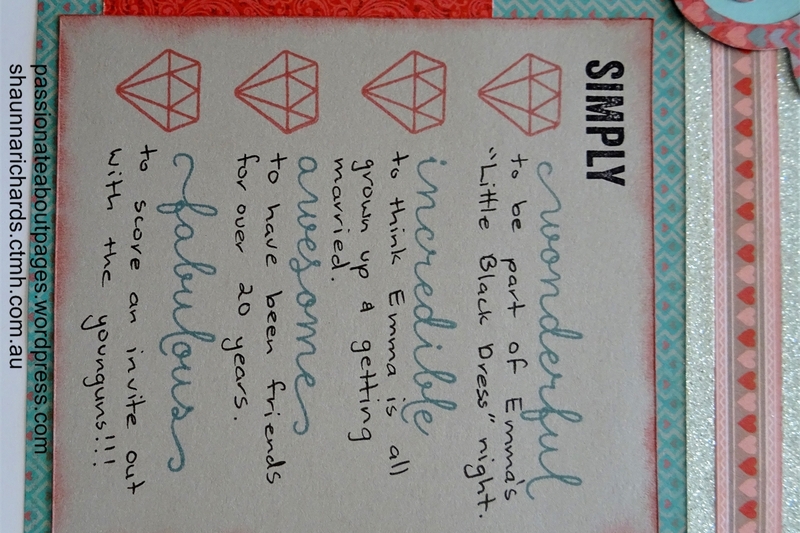 Another wonderful layout – I really like how you used the words & icons in the stamp set a journaling prompts. I love your page, the journaling is so important and you have done a great job with it. I love using those positive words as journalling prompts!! Such a pretty double page. Wow, so many clever ideas on your page. I love the doily and the overlay of the doily. 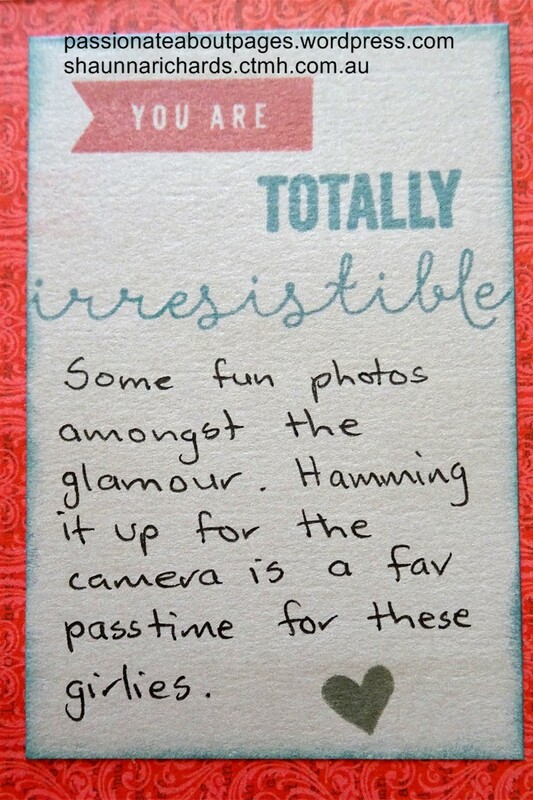 Love how you have used the words in your journaling, such a lovely two page layout!